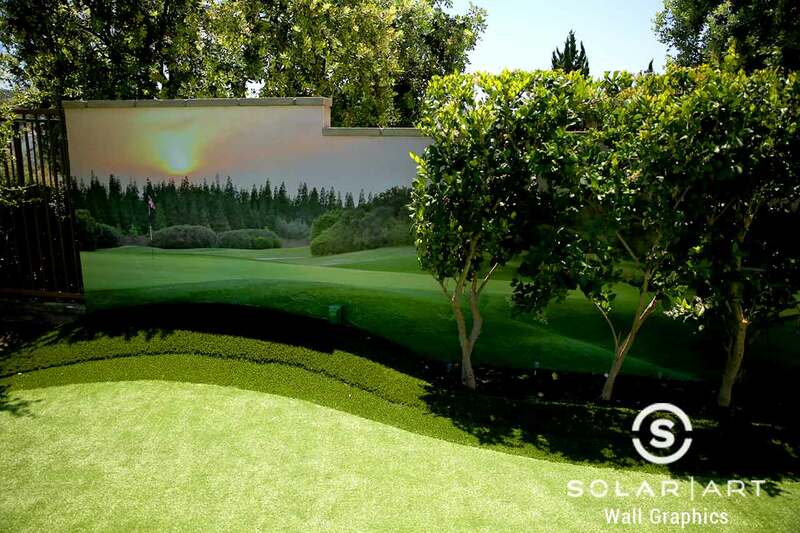 This is a home in Irvine, California where we installed a wall graphic in the backyard. This customer likes to spend his free time playing golf and he actually has a putting green in his backyard. 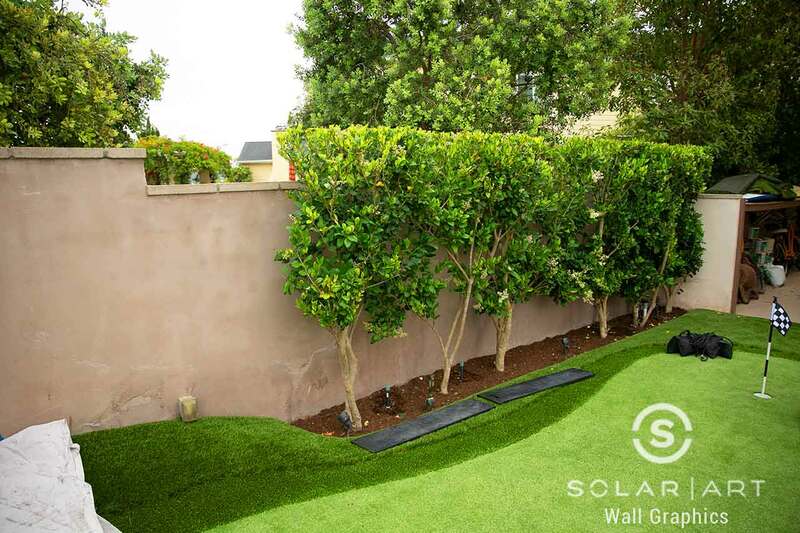 Instead of looking at his plain wall everyday, he wanted to install custom wall art to add a creative and unique aspect to his yard. The customer worked with our in house graphics team to create this custom printed graphic. When the customer came to Solar Art he did not have much of an idea of what he was looking for. Our sales estimator met with the customer to get an idea of what he was looking for and our graphic specialist brought the idea to life! If you decide you want a different wall graphic later on down the road, no problem! Both window graphics and wall graphics are removable with no damage to the surface. Wall art and window graphics give you the freedom and the flexibility to choose exactly how you want to design your space. Whether it is your favorite activity like golfing, your favorite vacation spot, or even a motivational quote, the options with custom graphics are endless. Solar Art has also installed custom wall graphics in game rooms and kids rooms with the popular video games and movie scenes displayed on the walls for constant enjoyment.This particular graphic was installed to a home, but we frequently install graphics to commercial locations. With commercial settings, you could have storefront window graphics installed to brand your business or create a design piece that will draw in potential customers! You can also customize your logo and have it installed on the storefront glass or walls throughout the office. Solar Art frequently installs custom graphics to office conference rooms, break rooms, private offices and more! Contact us directly to talk with us about Wall Graphics! Indoor and outdoor wall graphics are a fun way to display ads, images, designs and more! The custom vinyl is printed and installed by Solar Art. Contact us to learn more!